The e-Pulse® Pro Standard Bundle is the perfect introduction package for a full body treatment. It includes the e-Pulse® Pro massager, Massage Shoes and Workout Belt. 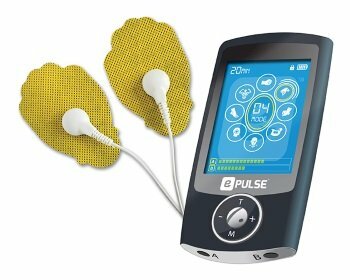 The e-Pulse® Pro Standard Bundle is the perfect introduction package for a full body TENS/EMS treatment. Ideal for relieving pain associated with sore and aching muscles in the shoulder, waist, back, upper, and lower extremities.